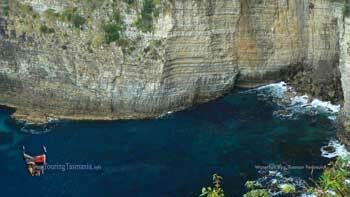 About a kilometre from the blow hole, there is a turn off to the right to Waterfall Bay. Just 4 kilometres and a spectacular view. 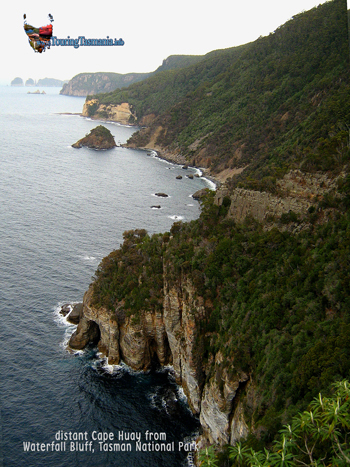 There is a coastal walk between Waterfall Bay and Devil's Kitchen as well as one south to Fortescue Bay - 6 or 7 hours one way. 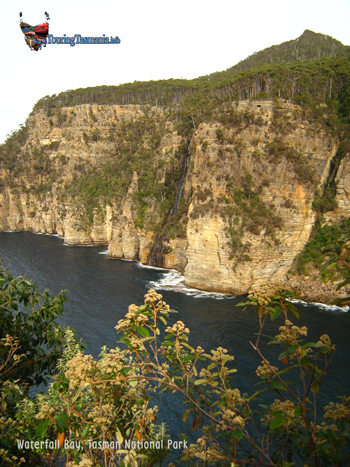 There is also a very fine short walk around Waterfall Bay above the falls to Waterfall Bluff. 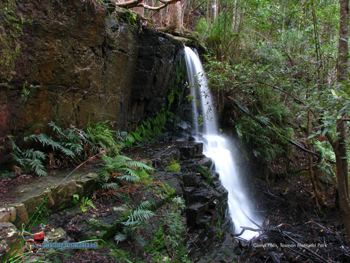 There is a loop walk which passes close to the top of the falls . About 2 or 1 1/2 hours return. The deep blue waters of Waterfall Bay.